This 25 oz. 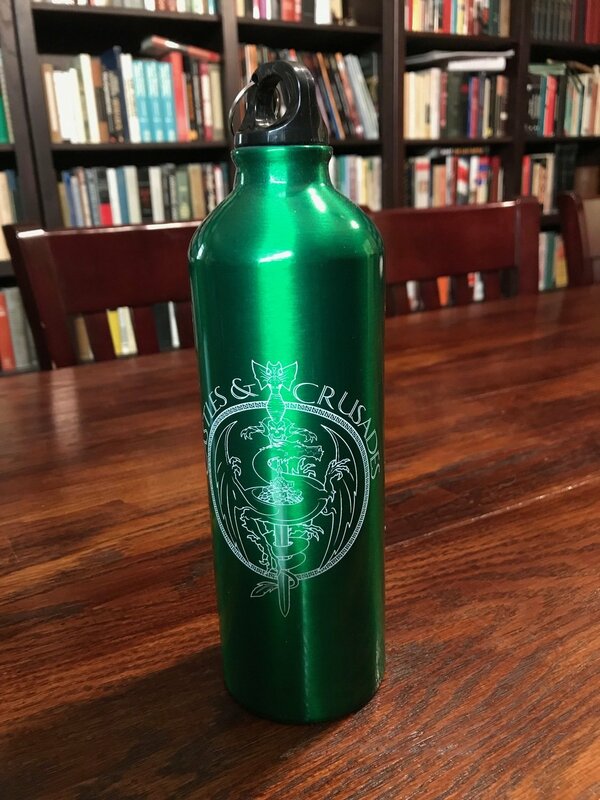 aluminum Castles & Crusades water bottle comes complete with a carabiner, attaching itself to objects like an adventurers backpack, bike rack or whatever you can find to clip it on! Light weight, durable and sporting the magnificent C&C logo!